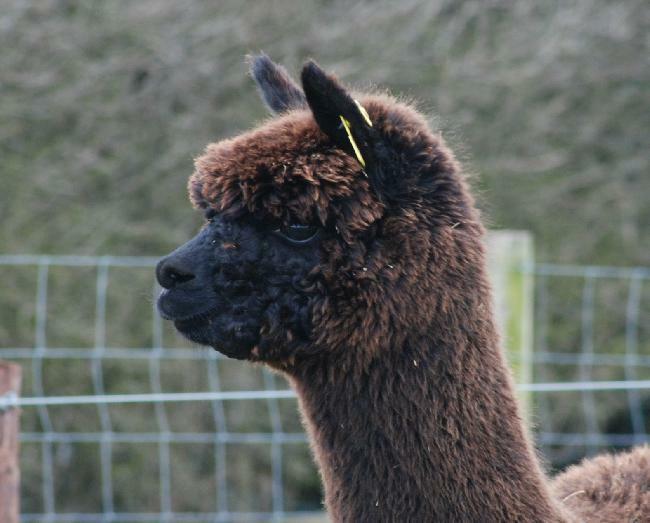 Bozedown Aim is a very striking and stylish female who is ready for breeding this spring. 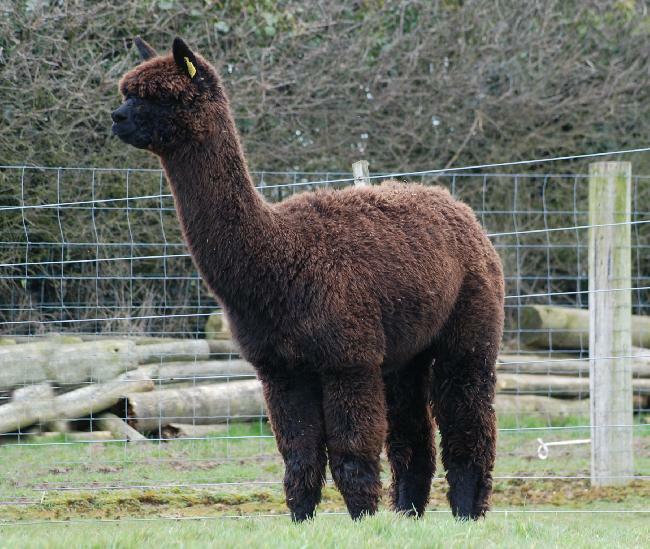 She is solid and correct frame that is well covered in fleece and her movement is sound. 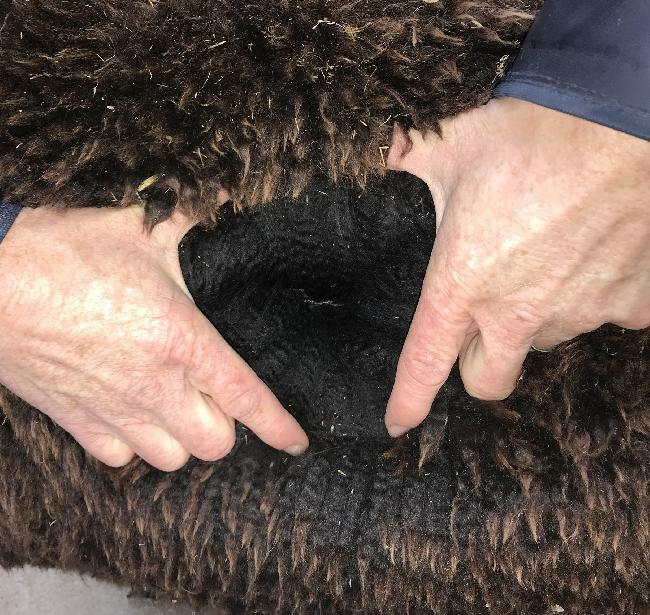 Her fleece is very soft handling. It's bright, long stapled, and quite dense. Each fibre is well aligned and the crimp runs to the tip of each staple. 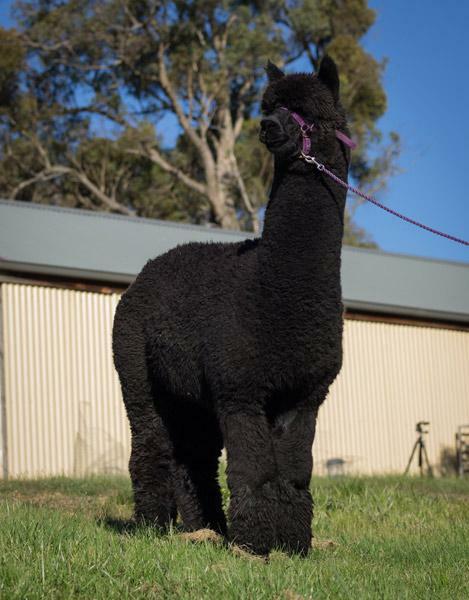 With the quality phenotype this female presents, but her lack of black pedigree, we are breeding her to our newly imported sire, Surtierra Shadow, as he has proven time and time again to reinforce black colour into his cria.